I really wanted to writes stories which I haven’t read. I am very selective when it comes to reading… I love it but for some reason I realize that I needed to fill in my blank page. 2. So you’re from Spain? Tell me about that. Indeed. I am Spanish and I am currently living here. I have studied a Degree in English Studies and Translation as well. 3. I see you have your first book, “The 6th of November” listed as Horror, but the blurb makes it sound more like historical fiction or maybe literary. How would you describe the book? I think it is a purely horror story set during the Spanish Civil War (1936-1939). At the same time, it is historical fiction. Writing about the past is a way of showing that time is quite subjective. 4. What made you want to write about the Spanish Civil War? There are many stories and experiences which remain untold. Elder people knows a lot because they are still traumatized by the conflict. They were kids at the time and many stories and anecdotes from that time are what I call ‘silenced voices’. Reality became an horror book. 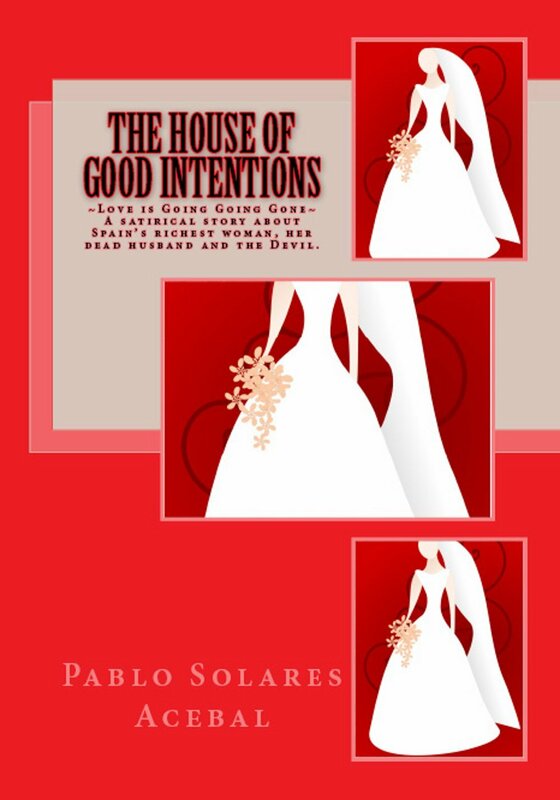 I have my second novel, The House of Good Intentions, coming out in November. It is being translated by Barbara R. Cochran, a prestigious translator who has done classical works into English as well, like Dona Perfecta by Benito Perez Galdosl. I am also working as Associate Producer of the movie The 6th of November to be filmed in 2015. Also, I plan to start writing my third novel son, despite I have some ideas in mind. I need I wanted to be a writer when I watched Nicole Kidman playing Virginia Woolf in ‘The Hours’. Later on, I started reading her. She was a genius. Unfortunately, she was underrated but well ahead of her time. 7. I understand you had some acclaim in Spain and South America. How did that come about? I think it was a bit of luck, since I was not happy with the editing of my book. Now, it is published the way I wanted it to be. I was supported by major literary blogs in Spanish language. It’s funny because well before publication I imagined what could be the reviews like and, months later, they commented the same aspects I considered important. 8. What advice do you have for other writers, particularly outside the U.S.? Translation is the key I guess. Sometimes books are tough to sell and it requires an huge time investment but, if you believe in your work, it’s up to you. 1. So what got you into writing in the first place? I honestly don’t remember! I don’t remember any time of my life when I wasn’t a reader, or when I wasn’t imagining stories and characters. Writing them down just seemed like a natural sort of progression, which I think I started doing when I was nine or ten. 2. I understand you’ve written for television. What was that like? How is it different from writing a novel? Writing for television is definitely an experience! I worked in house on Neighbours for just over a year, which is a daily serial. It airs every evening, most of the year, and has done since 1985, so we had to know our characters inside out, generating fresh story material every day, working to a G-rating (family friendly) and meeting immovable deadlines. If an actor got sick or injured or weather got in the way of vital outdoor scenes, we just had to come up with a solution and make it work within the stories we’d already plotted. It was stressful, but a lot of fun, and it’s amazing the amount of creativity you can tap into when you’re working that close to the wire. But after that year I moved into freelance scriptwriting, which is still hard work but a little easier on the nerves. Scripts are completely different beasts from novels. Obviously they need to read well, but they also need to be functional — they’re blueprints for the entire production. TV production moves so quickly that every department needs to be able to find what they need very quickly, which means that everything needs to be written as simply and clearly as possible. Novels have much more freedom to get inside characters heads, to describe, to use lovely language. Writing prose again after writing scripts for so long was a bit scary at first. I felt like I had no rules, no guidelines. Describing anything felt weird, ‘he said, she saids,’ felt completely wrong. But after a few days of hacking away at it, it clicked. Prose still has structure, plotting, pacing, character, it just lets you play a lot more with the delivery. Once I realised that, it all felt much more achievable. 3. Your debut novel seems to be doing well. Tell me about the book. I really just wrote a book I wanted to read, and what I wanted to read was a spin on the fantasy of girl-being-rescued. Emma lives in a village with incredibly hard laws for women, and is offered a way out by a mysterious boy in the woods. But it’s more complicated than ‘crappy future’ vs ‘happy future.’ Emma might not have much to look forward to as a girl coming of age, but there are people she cares about too much to leave. Emma has to figure out what’s most important to her, but the longer she stays in the village the stronger the pull of an escape becomes. There’s magic, there’s romance, there’s action and danger. I think it’s a pretty fun read. I definitely had fun writing it. 4. What about the fantasy genre appeals to you, and why? I think for me it’s a major hangover from my childhood. I was born in the middle of nowhere, a tiny village attached to a mine in the middle of the Northern Territory, Australia. My parents always kept the house stocked with books, and my mum loves fantasy, fairytales and folklore — especially if it involves dragons – and my dad loved history and poetry, so while the landscape couldn’t have been further away from the green hills of Merlin and forests of Mirkwood, my head was always filled with magic and monsters. So whenever I sit down to work on my own projects, my mind goes straight to the unreal world, whether it’s a version of our own or a completely new one. I like how limitless my options are, how many human stories I can tell in a new way. 5. What efforts did you make to promote your book? What did you learn? 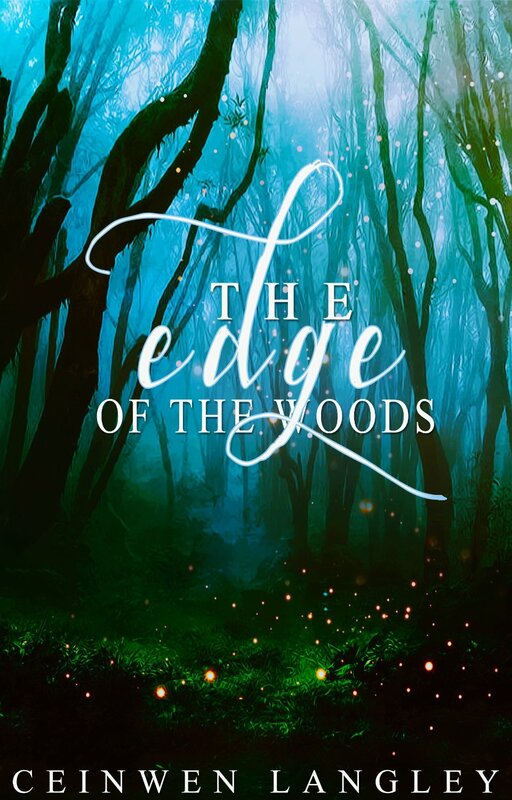 The Edge of the Woods is only my first book, so I really haven’t worried about spending too much time or money promoting it. I’m saving some most of my paid efforts for when I have a few more books under my wing. 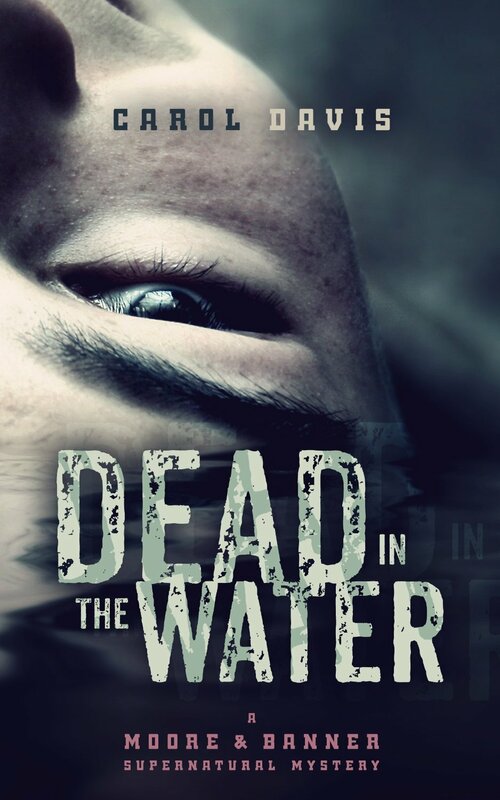 As for the promotions I have done, I’m fairly active on social media — I have a twitter, facebook page, instagram and blog — so I occasional send out news about the book, and I’ve run a few sales and two free days, which did really well for me. I’m also exclusive with Amazon at the moment, which means my book is available to Kindle Unlimited users. What I’ve learned is that it’s really, really hard to get your book out there and seen, how important it is to have a professional cover and engaging blurb, and how you really shouldn’t be disheartened if one attempt to get visibility doesn’t work. I’m working on two projects at the moment, both young adult, and both currently in first draft. The first is a fairytale/fantasy novella about a teenage girl who is coerced into helping a witch, and the second is a sci-fi/dystopian novel about a young woman on a last hope mission to a potentially habitable new planet. I’m very excited about both. 7. Tell me a fun fact about yourself. I’m really quite scared of frogs. A few live in my garden, though they only come out at night. 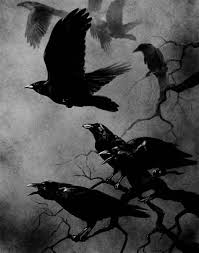 I’ve had a couple of run ins with them that always starts with me going out to get the washing or pick some herbs to throw in with dinner and end with me screaming and the sound of flappy little frog feet jumping away in the dark. I think Isobelle Carmody has a really beautiful grasp of language, which she pairs with incredible worlds and stories. She has a way of taking a fresh view of stories we think we already know, and she infuses even the most mundane settings with magic and adventure. I first read Obernewtyn when was eleven or twelve years old, and Elspeth Gordie is still one of my all time favourite heroines. 9. What advice do you have for writers? Writing can be scary, but you can’t let the fear keep you from putting your words onto paper and honing them into something great. Put yourself out there, and do it to a standard you’d be proud to stand beside. And then do it again. And again.